Good morning all, I think it’s fair to say that as many of you are British you’ll have enjoyed at least one cup of tea this morning! I’m fairly confident of this statement, especially as the UK Tea Council estimates we drink 165 million cups of tea a day. 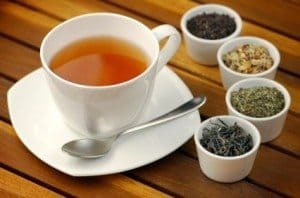 The reason I’m talking about tea though isn’t purely because it is such a fixture in our everyday home and office life, after all we have a tea on hand for every occasion imaginable! The inspiration for this article came from an article in the Sunday papers last week, in which the writer spoke of the revival of tea drinking as a ‘gourmet experience’. The article in question was fantastic, not only for the inspirational story of how Henrietta Lovell created the Rare Tea company, but also because it highlighted the joys of moving beyond the traditional cup of tea to experience a fine cup of tea. We recently held a bespoke event for a financial institution, in which they had a tea tasting session with a Principle Tea Master, at the quintessential tea drinking location that is the Ritz London. This relaxing event is a great way to move beyond office talk or entertain a client and indulge in the luxury and sophistication of a well planned tea! The client enjoyed teas picked from small mountain gardens, grown at high altitude whilst hearing about the heritage of tea in Britain and how to brew the perfect tea from one of the world’s most knowledgeable tea experts. Contact us now and we can create a bespoke event for you in which we can include a tea tasting session or an evening event with tea tasting at the Ritz. The talk can be light-hearted or knowledge-based, we can tailor the event to suit all requirements so it’s perfect for a fun, informational team building exercise or a relaxing evening of client entertainment. Adapting to change..from presentations to CLAPHAPPY! !